As of June 1, 2016 the Green City, Clean Waters program has established 837.7 Greened Acres, exceeding the five-year regulatory target and reducing pollution from stormwater runoff and combined sewer overflows by more than 1.5 billion gallons annually. 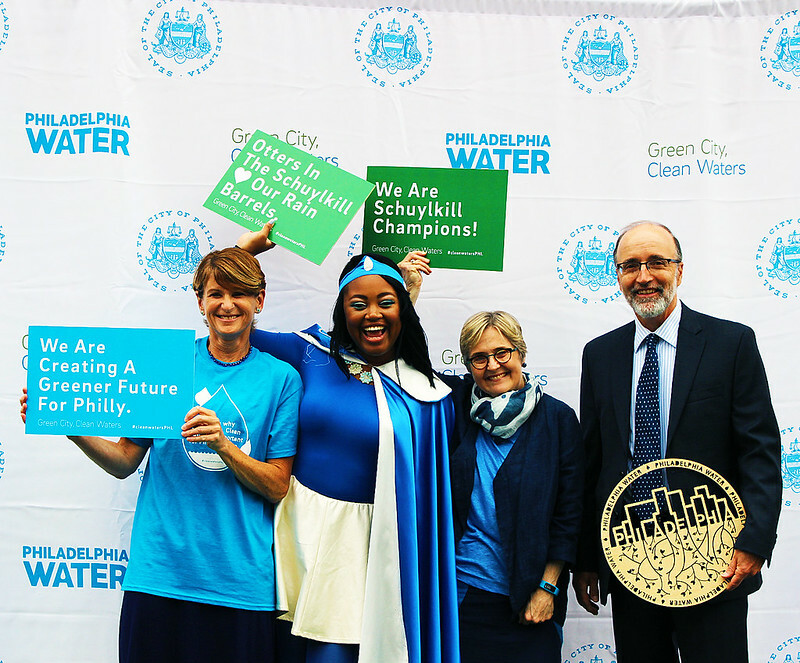 Named Green City, Clean Waters in 2011, this 25-year City of Philadelphia program is the first green-centric plan in the U.S. to gain acceptance from the Environmental Protection Agency and Pa. Dept. of Environmental Protection, the regulators responsible for protecting local drinking water sources. With the help of residents, City departments, private developers, elected officials and environmental advocates, Philadelphia Water has led the way in transitioning Green City, Clean Waters from its pilot phase to a real-life program that is making our rivers cleaner right now while improving our neighborhoods, block by block. To appreciate just how much green infrastructure Philadelphia has gained since 2011, explore our Big Green Map here or click the map below the 5 Down slideshow. Click the image below to explore the Big Green Map and the 441 green infrastructure sites that are now helping to keep 1.5 billion gallons of polluted water out local rivers and streams annually. 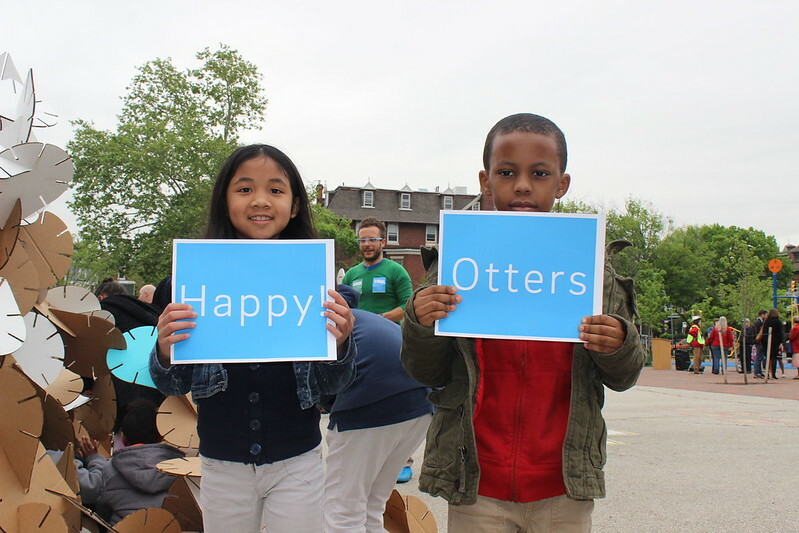 In the first five years of Green City, Clean Waters, Philadelphia added thousands of green stormwater tools to our neighborhoods through development, redevelopment and investments at hundreds of private and public sites, keeping hundreds of millions of gallons of polluted water out of our rivers annually. Since 2011, we have been working to create a complex, efficient machine that relies on modeling, planning, design, engineering, outreach, monitoring and maintenance to create a network of green infrastructure tools that’s unlike anything done before in the U.S. We’re using this five-year milestone to appreciate what has been accomplished, to look at what worked and what still needs fine-tuning, and to look toward an even more ambitious future. And, while everyone loves nice round numbers, the Green City, Clean Waters five-year anniversary is much more than that. To ensure that we’re moving toward a future with cleaner rivers, the EPA and Philadelphia agreed to specific goals to be achieved by 2036. Within the first five years, Philadelphia had to show (among other things) that we could build 744 “Greened Acres”—a term used to describe the volume of stormwater managed with green tools. We did more than meet that five year target. As of June 1, 2016, the City has gained 837.7 Greened Acres, a feat that means we are now keeping more than 1.5 billion gallons of polluted water out of our rivers each year. This was achieved through the creation of 441 green stormwater infrastructure sites throughout the city. Public Green Stormwater Infrastructure Projects: are initiated, funded, designed, constructed, inspected, and maintained by PWD or one of its partners. Wherever possible, standard infrastructure constructed by the Philadelphia Water is coupled with GSI at or near the street surface. Examples include stormwater tree trenches on public streets and rain gardens on Parks and Recreation properties. Incentivized Stormwater Infrastructure Projects: are voluntary stormwater management projects on private property, which are the result of PWD sponsored incentives, including the stormwater billing and credit program, and funding from Stormwater Management Incentives Program (SMIP) or Greened Acre Retrofit Program (GARP) grants. 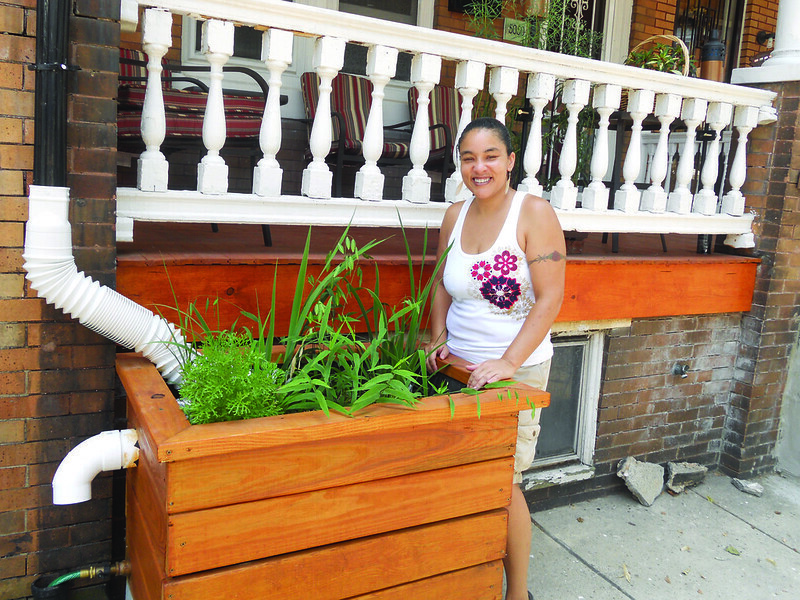 Examples include rain gardens at private businesses and porous paving on School District of Philadelphia properties. (Re)Development Green Stormwater Infrastructure:are on-site stormwater management projects completed when land is developed or redeveloped in order to comply with the City of Philadelphia's Stormwater Regulations. The regulations have been effective since 2006 and were recently updated in July 2015 to advance Philadelphia's water quality goals even further. Examples include Stanely's Hardware, the Paseo Verde Apartments, and Cira Green in University City. 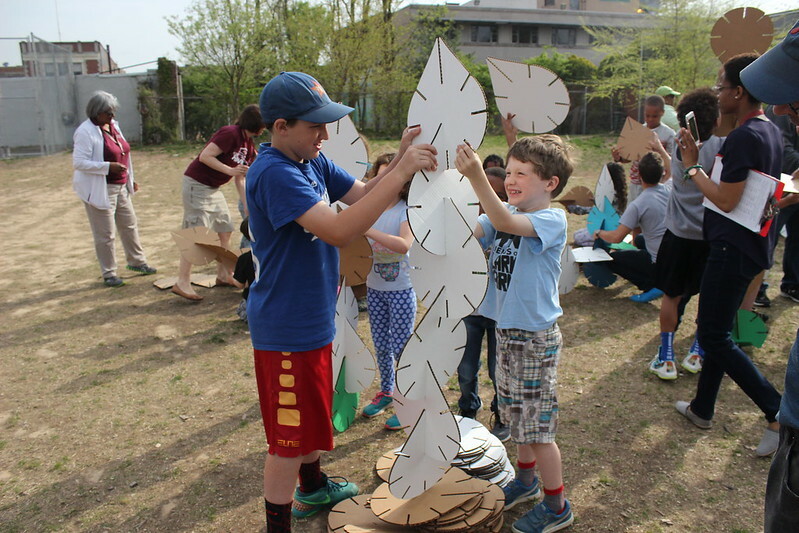 We will hold events this summer and fall to mark Green City, Clean Waters accomplishments, but we’re also gearing up for the next five-year target. It’s a big one. 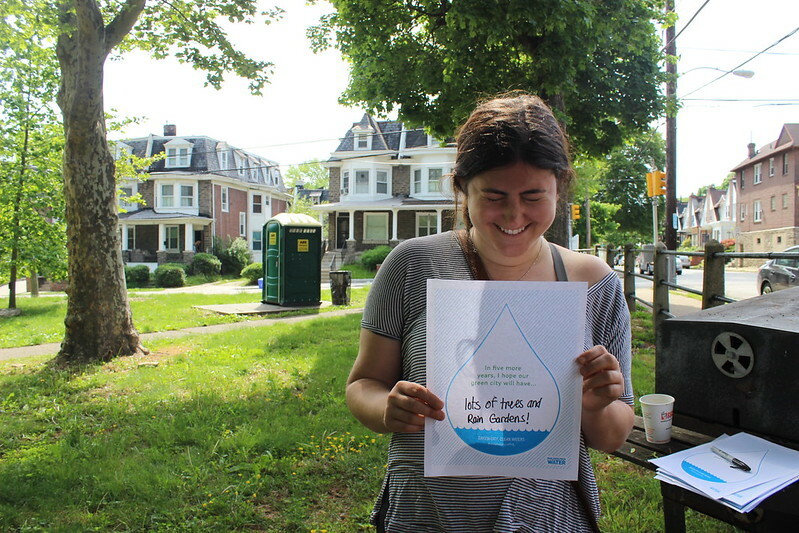 Philadelphia Water must achieve 2,148 Greened Acres by 2021—nearly three times what the City has accomplished so far, and enough to keep 2 billion gallons of polluted water out of our rivers annually. As we continue to grow this revolutionary program for protecting and improving Philadelphia’s most important natural resources—the Delaware and Schuylkill Rivers, which provide all of our drinking water—we’ll be working with you, our customers, and our many partners and stakeholders. Will you join us as we take Green City, Clean Waters to the next level and build a future with cleaner, healthier rivers and greener, more beautiful neighborhoods? Follow the Watersheds Blog to get important updates on Green City, Clean Waters events and other programs and projects. See how we are encouraging private green infrastructure from Philadelphia Water on Vimeo.